I’ve started wearing a watch again. I was sick of fishing my phone out of my jeans just to see the time. I also missed the opportunity for self-expression that comes with a piece of jewelry. 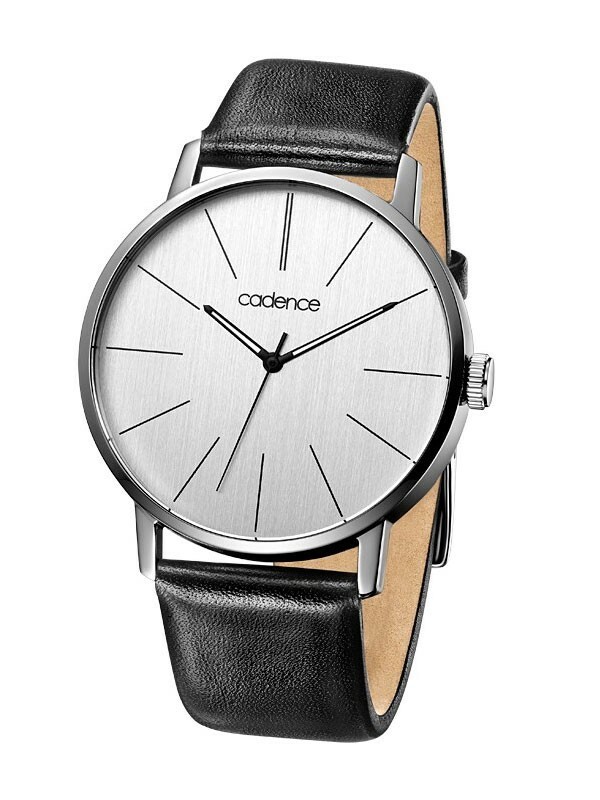 So I bought a Cadence 4-Bit two years ago, and have been wearing it ever since…long enough that I feel naked without it. It suits me stylistically, and I love that it’s secretly geeky. LG’s Android Wear watch. Is it doing too much? 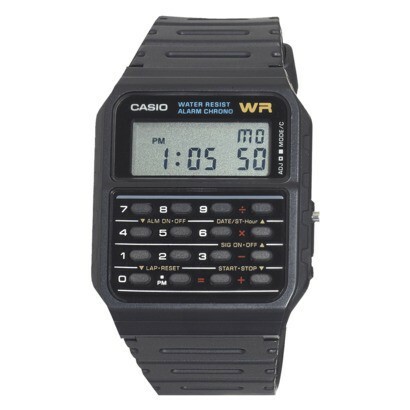 I had one of these in the early 90's. Much to my surprise, you can still buy one. It isn’t cool. More specifically, it isn’t user-centered. We already have phones in our pockets. For a smart watch to succeed, it has to fill a need that a smartphone doesn’t. Smartphones aren’t “glanceable.” While it’s easy enough to pull out your smartphone to check the weather or enter a to-do, it’s more involved than a quick glance. In a darkened theater, the glow will distract other patrons. In a meeting or at dinner, you’re signaling a lack of interest in your companions. When your hands are full or you’re exercising, it may not be feasible. And if you lack pockets and keep your smartphone in a purse, a quick glance is even harder with a smartphone. Some tasks are too lightweight for a smartphone. You’ve got an incoming call and want to know who it’s from. A text has arrived; is it worth dealing with? What time is it? Some interactions are so quick and lightweight that hauling your phone out feels like a chore. I used one of the new Android Wear smartwatches, Samsung’s Gear Live, for several hours Thursday, and my wrist hasn’t stopped buzzing since I synced the device with my phone. New email? Buzz. New text? Buzz. The thing won’t shut up. I’m one of those guys who obsessively checks his phone, but this is too much for me…This isn’t the answer. Instead of solving the problem of whipping my phone out several times a day, Android Wear makes me nervous and anxious from all this hyper-connectivity. It’s easy to miss notifications. Ringtones get drowned out by traffic. Vibrations get overwhelmed by walking or biking. Or, you leave your phone on the dashboard or couch and miss a couple hours’ worth of stuff. Glance, Don’t Interact. Optimize for quick peeks. If interaction is required, the overhead of pulling out a phone becomes manageable and the advantages of not using the phone decrease. Keep it Discreet. A smart watch can work where a phone would be inappropriate, especially if it doesn’t light up (no glow for others to see) and adheres to #1 (no chance of getting sucked in). Notable Notifications. Ensure that the most important notifications grab the user’s attention. Making sure notifications are prominent, but respect the moment and don’t interrupt needlessly. That means filtering notifications in one way or another, not just passing them along. Value Elegance. 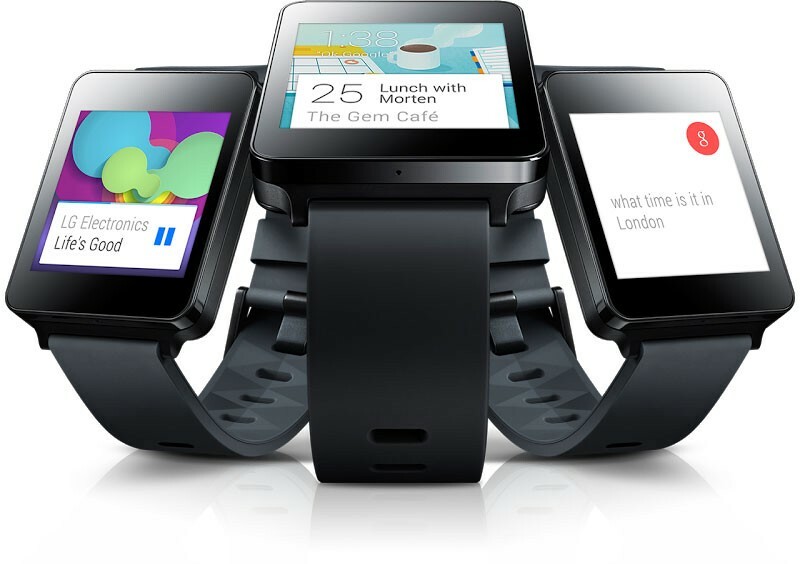 In her review of the first Android Wear devices, the New York Times’ Vanessa Friedman writes that they “re-enforce all our old assumptions about the form, which is that you take your phone screen, make it small and stick it on your wrist…where’s the joy — or the desire — in that?” For a smart watch to escape the tech-geek bubble it has to be more than just a gadget. It’s jewelry, it’s self-expression. OPRJ is a watch, through and through. It has real, physical watch hands: they’re easier to see in various lighting conditions than any screen, and even the highest-resolution display can’t beat the elegance. They make the device tangible. The software can move the hands, allowing the watch to respond to changes in time and time zone. Behind the hands is a high-resolution e-ink screen, like the one found on the Kindle Paperwhite. Why e-ink? It’s readable in direct sunlight. And it isn’t backlit, so users can check their watches in low-light conditions without annoying their neighbors. (2. Keep it Discreet.) E-ink brings trade-offs—no color, low refresh rate—but those often serve our design principles well. It lacks Wi-Fi but supports Bluetooth LE (popularized by Apple’s iBeacon) for updating the time and communicating with a smartphone. Like a phone it can vibrate, with the vibration focused on the skin side of the watch so the wearer can feel it but it doesn’t transmit into wherever the wearer’s hand is resting. There are no buttons, no touch sensitivity. There’s no speaker or microphone. (1. Glance, Don’t Interact.) If you want to do more, it’s time (pun only sort of intended) to pull out your phone. OPRJ uses Bluetooth LE to search out nearby smartphones running the OPRJ app. When it finds one, it grabs the current time & date automatically. The phone need not belong to the user. I thought about including a way to set the time manually, but it seemed unnecessary. 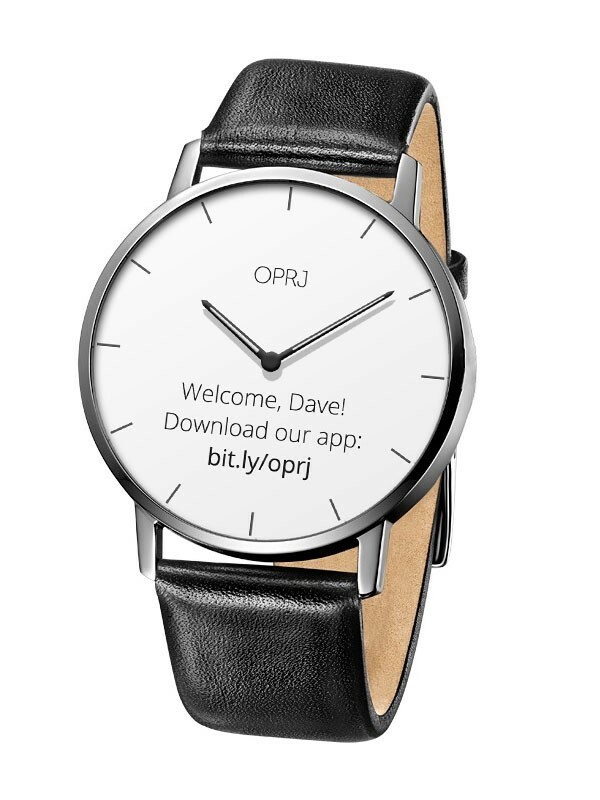 If you’re going to use a watch independently of a smartphone, you wouldn’t buy OPRJ. Upon opening her new OPRJ, the user is asked to download the app. On launch, it detects the nearby OPRJ and asks her to confirm and pair. Your new OPRJ knows your name, and uses it to ease pairing with your smartphone. When purchasing OPRJ, the buyer is asked for her name (or, in the case of a gift, the recipient’s name). This makes the unboxing experience more personal, but also serves another purpose: since the device already knows the user’s name during setup, the pairing confirmation is easy. There is no further setup. Our Notable Notifications principle is all about filtering notifications so we can be aggressive with the important ones, and not interrupt with the rest. User has notifications in all three categories. From right to left: messages (chat bubble), calls (phone), everything else (bell). So, notifications are divided into three types: messages, calls, and other. Messages include SMS/iMessage, IM, and the like. When a new message comes in, OPRJ vibrates twice and shows the sender for a few seconds. Incoming call. Newly-arrived message UI is nearly identical. Calls encompass both missed calls and voicemails, and the icon doesn’t differentiate between the two. A “call” could be a traditional phone call or a Hangout request, Skype call, etc. When a new call comes in, OPRJ vibrates continuously and shows the caller. Other includes email and social networking updates, all of which are combined into the leftmost notification icon. By default, there is no vibration associated with these; the app provides a preference to add one, as well as the ability to include other types of notifications in the “other” category. Other smart watches have implemented fairly elaborate turn-by-turn navigation UI, and it feels excessive to me. When driving, you can connect your phone to the car stereo for voice instructions, and leave it somewhere visible for quick glances at the map. With its small e-ink display, OPRJ can’t really compete—nor does it need to. But what about walking? Cycling? These aren’t activities everyone engages in, but they’re common enough. And, it’s dangerous to have your phone out while you do them—either because it makes you a target, or because you’re liable to have an accident. So, OPRJ provides a simple navigation UI, highlighting the next direction. Just before a turn (and synchronized with the voice instructions), OPRJ vibrates once. I’ve based these mockups on a photo of Cadence’s Morgan watch (and I hope the folks at Cadence will forgive me). The choice wasn’t arbitrary, and is in keeping with the “Value Elegance” design principle. Cadence watches strike a nice balance: simple, sleek, casual, not showy or overlay decorated like a Rolex, nor cartoony like a Swatch. I’ve tried to complement that with simple, humanist sans-serif type and recognizable, modern, straightforward icons (thanks, Noun Project). One’s watch is a matter of personal style, so it’s reasonable to expect there’d be 2-3 men’s and 2-3 women’s styles for OPRJ—though the goal is to create a cohesive brand, not a broad array of disparate styles. And I wouldn’t expect the type or iconography to change from model to model. Voice: I like OPRJ’s read-only simplicity, but the handsfree interactions of an interface like Siri and Google’s “OK Google” UI are well-suited to a watch. Things like, “Remind me to pick up milk,” or, “When’s my next appointment?” So it might make sense to add a microphone and speaker that simply serve as a front end to the smartphone’s own voice interface. Display Resolution: E-ink is not as high-resolution as today’s LED smartphone displays. The Kindle Paperwhite has 212 pixels per inch, vs. the iPhone’s 326 (or the Galaxy S5's 432). I’m not sure what sort of problems this might cause. Light: E-ink displays aren’t readable in the dark. One option: a light similar to the Kindle Paperwhite’s, activated by squeezing the bezel with two fingers. Ultimately, is OPRJ enough to make a smart watch worthwhile? Maybe: there isn’t really a down side vs. a regular watch, and speaking as a potential user, I’d be excited to have more reliable delivery of notifications; the ability to see who’s calling or texting without pulling out my phone; subtle delivery of walking directions; and automatic time zone adjustment. But none of these is a deeply-felt need for me, and I suspect that’s true for others as well. For OPRJ to be a worthwhile investment, it needs to be comparable in price to a regular watch, and attractive enough that one isn’t trading beauty for functionality. If that doesn’t sound like the Next Big Thing to you, you’re not alone. It may be that someone with the right imagination will release a must-have, game-changing smart watch; but it’s a tall order in a world where everyone already has a smartphone. VP Product Design at Heap in San Francisco. Former PM and design manager at Google, Facebook, TechCrunch, Emu, Yahoo. Behavioral science enthusiast. I’m hiring.